We froze, forks halfway to our mouths and halted our conversation as the sundown prayers were called out in song through the city evening. 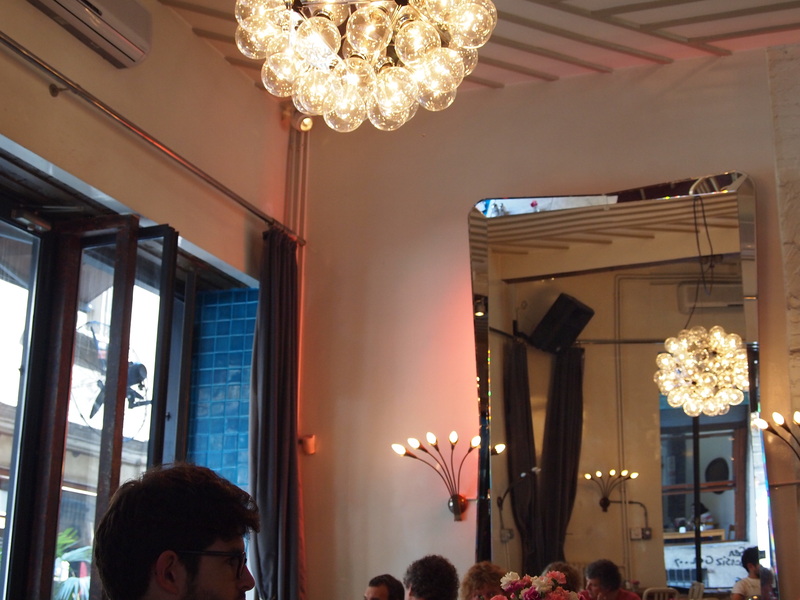 The restaurant, a tourist favourite, kept on bustling. A haunting echo sang back from the city in reply. That morning that we had sleepily left our house and now we were sitting in one of the oldest cities in the world that had been at the heart of trade routes and empires, religions and wars. From the window of our room I got my first glimpse of Asia in real life across the Bosporus river. 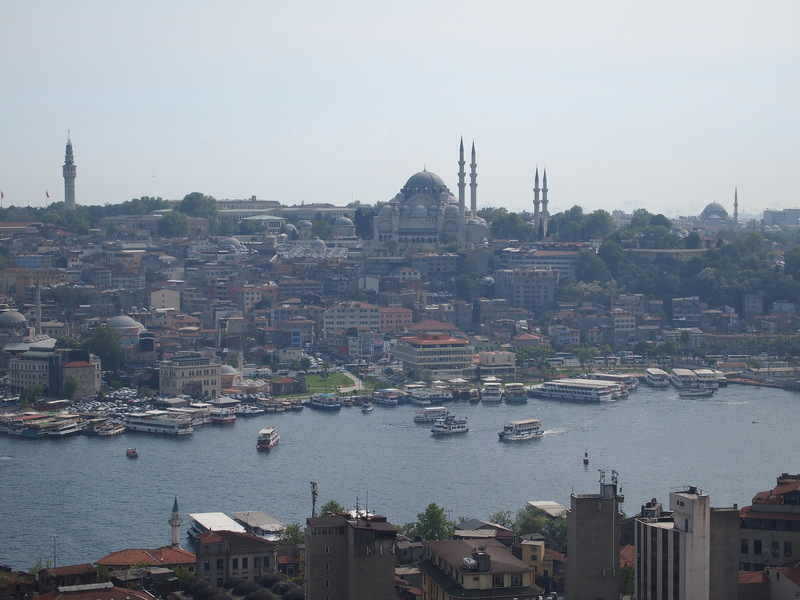 Some people believe that Asia begins at the political boundary of Turkey but in Istanbul they think it’s the Bosporus river (and I’m inclined to agree with them even if the idea of Europe and Asia being different continents has always struck me as a little silly anyway). 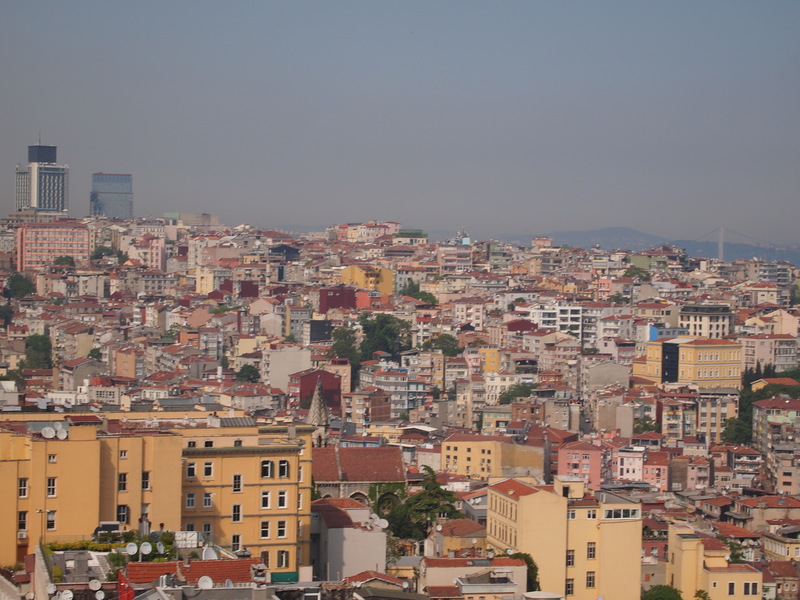 Locals refer to the European and Asian sides of Istanbul. 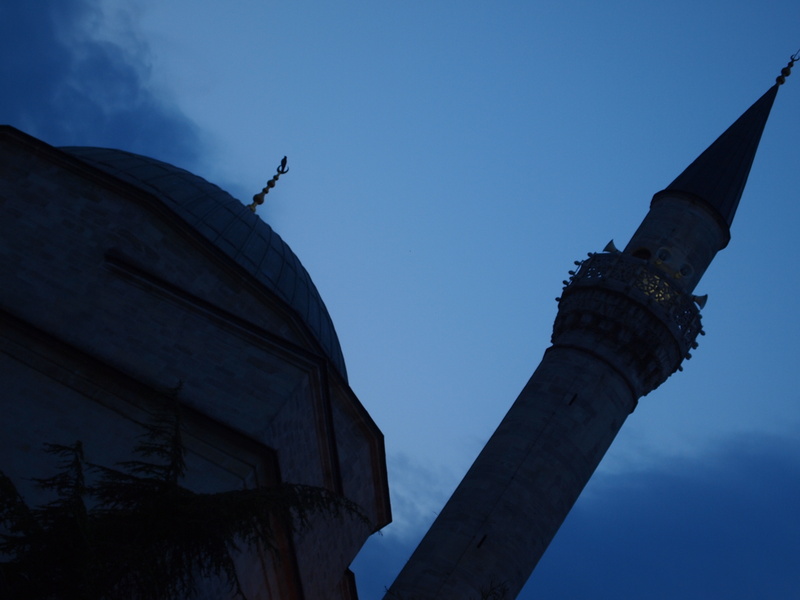 Watching the evening sky over Sultanahmet Mosque let it live up to its nickname, the Blue Mosque. 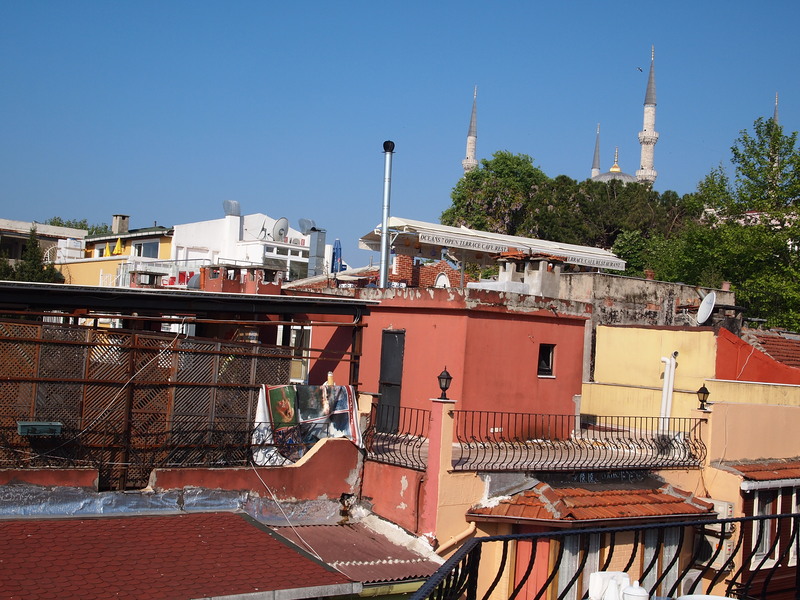 The next morning we had a Turkish breakfast (black tea, white cheese, bread, olives and fruit) on the roof of the hotel looking out over the roofs. 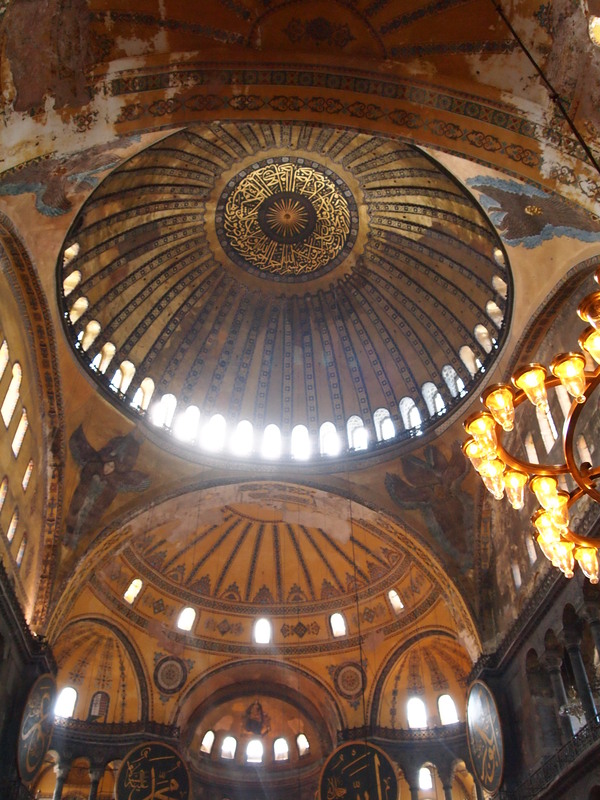 We got to the Haya Sofya early so we only queued for about ten minutes. Don’t believe the tour guides who tell you that they’re going to get you to skip the queue, all you do is join a different queue inside the gate. It’s 25 Turkish Lira to enter (TL). The crowd bottlenecks inside the gate and going through the door but once inside you’re stuck speechless by the immensity of the space all the more for the contrast. The age of the building is obvious, light and dark contrast starkly. The space seems mostly gold and black. Each little bit was massively complex and it was one of those truly great buildings where your eyes never run out of things to find. There are hundreds more pictures of the interior that I could show you but there just isn’t space here and they would never capture it anyway. After the Aya Sofya we went into the outer courtyard of Topkapi palace to find the Archaeology Museum. The crowds to get into the palace proper (as it was now about noon) were insane but luckily (and somehow unsurprisingly) the archaeology museum was significantly emptier. 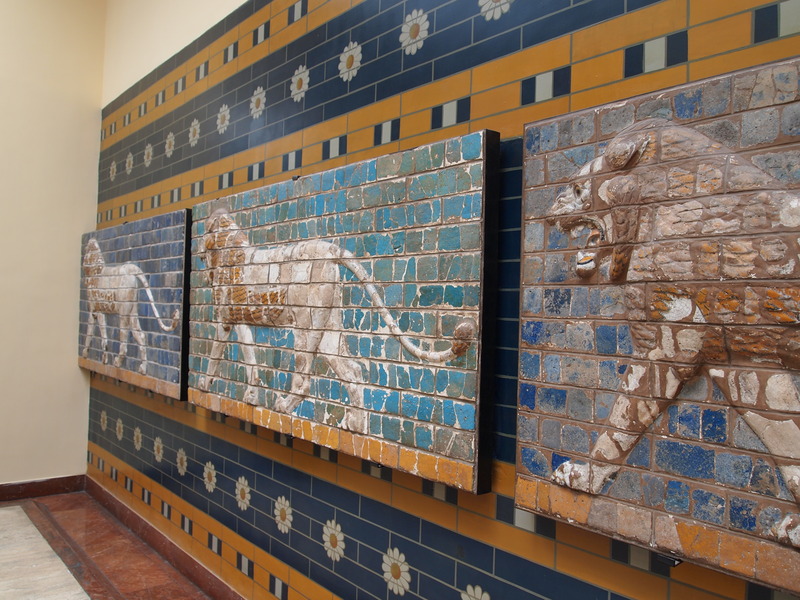 They had an interesting collection of Anatolian and Babylonian artifacts but from my studies I knew most of Turkey’s great antiquities end up in London or Berlin. 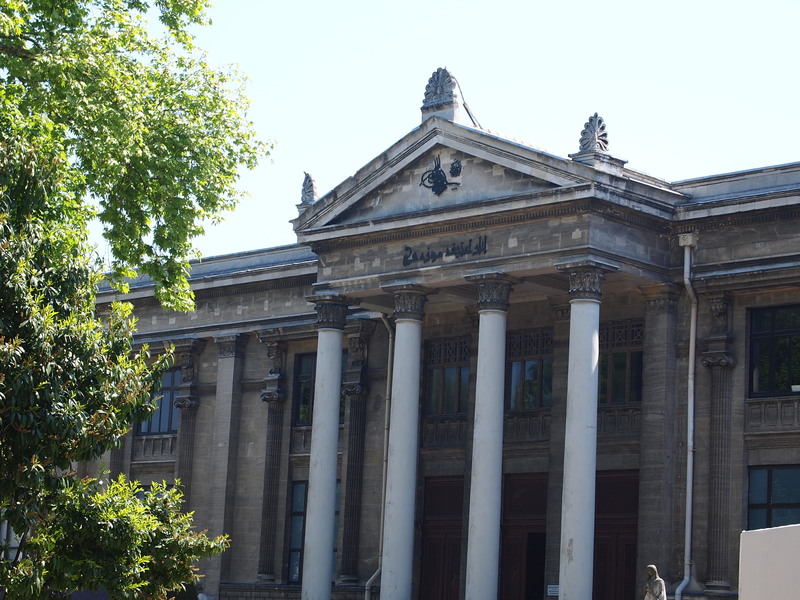 It’s sad almost to look at the small selection this museum has and think of the wealth of history that happened in Turkey from the earliest times. Some of the earliest agriculture occurred in Anatolia, the beginnings of human civilisation as we understand it. It’s sad they weren’t allowed to hold onto more of their heritage. We went for lunch in an overpriced place in the outer courtyard which was quite nice and had a lovely view over the lawns. 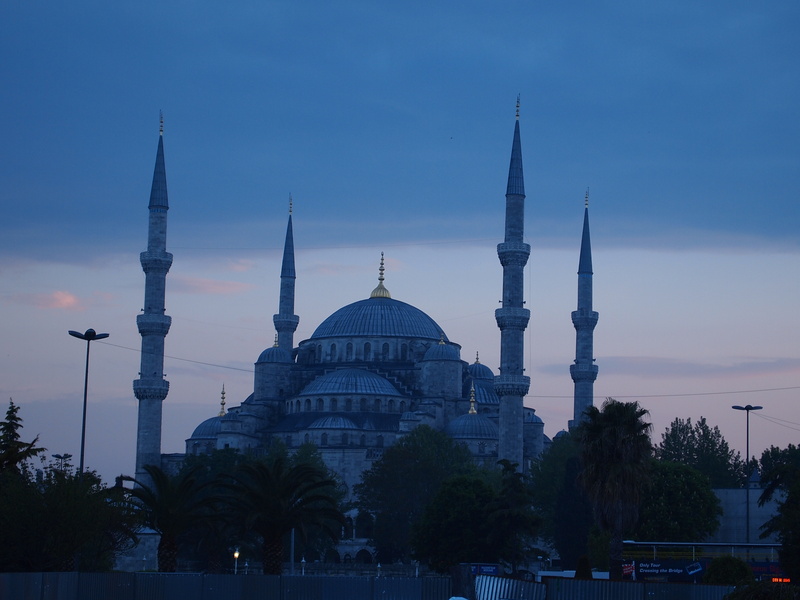 My brother Seán had been teaching English in Istanbul for nine months so he met us there to show us around. Taksim and the Istiklal shopping street. 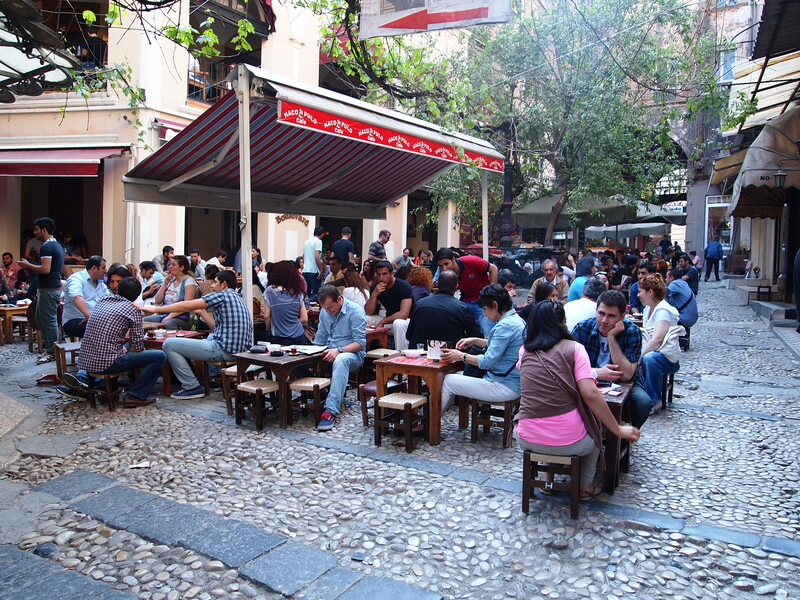 The Istiklal was not a tourist street and it’s underrated in the guide books. There are many nice shops along it but it’s also the main way to get to Galata Tower which I’ll get to later. 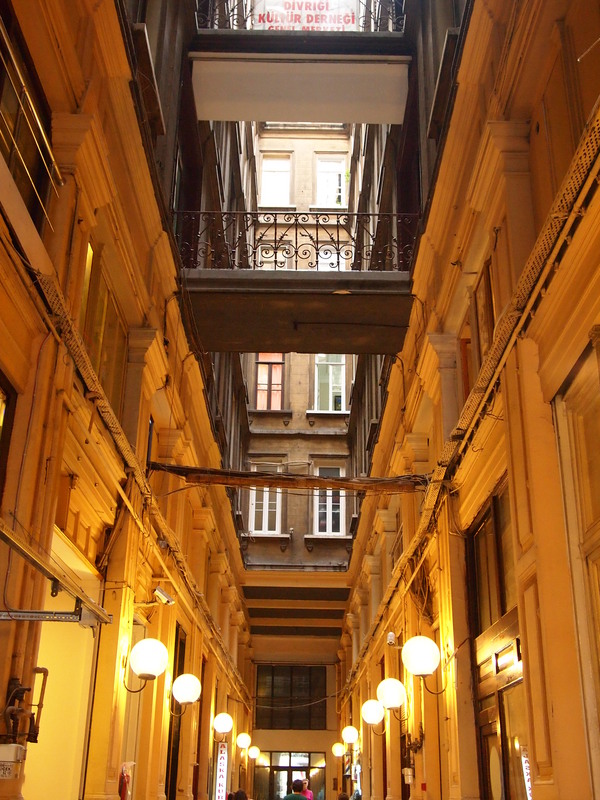 The interesting shopping is really just off the Istiklal, down the lanes and arcade-like passages called ‘pashaj’ where you can find smaller more unusual places. About half down is a pashaj containing the world’s second largest second hand shop. The largest is appartantly in America but the owner claimed that it didn’t really count because everything was bigger in America. There also little tea place in the open air that are a pleasant respite from the crowds. At the end of the broad street go left down through a row of musical instrument shops, people stroking cats on doorsteps and an arty t-shirt store. 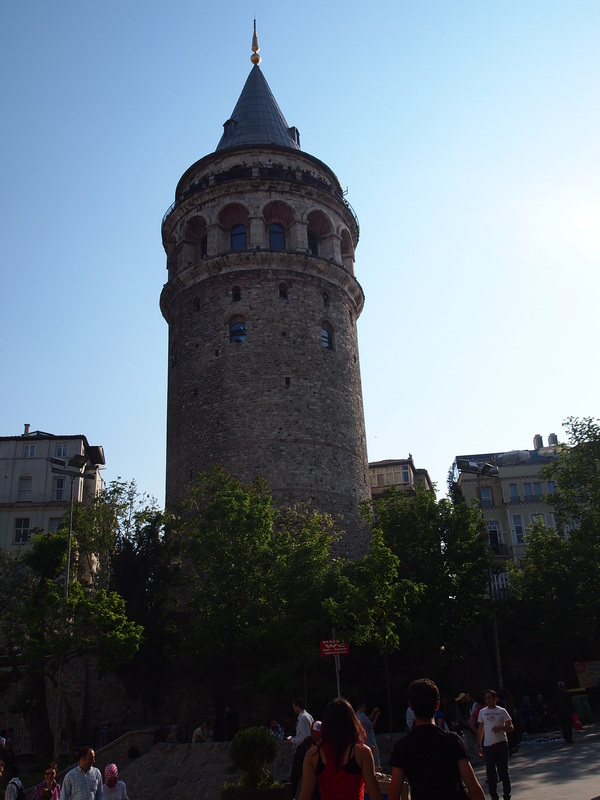 If you follow it along you get to Galata Tower. The tower itself has been all sorts of things, usually military. Though there is a story that the man who invented the hang glider glided first by jumping from this tower. 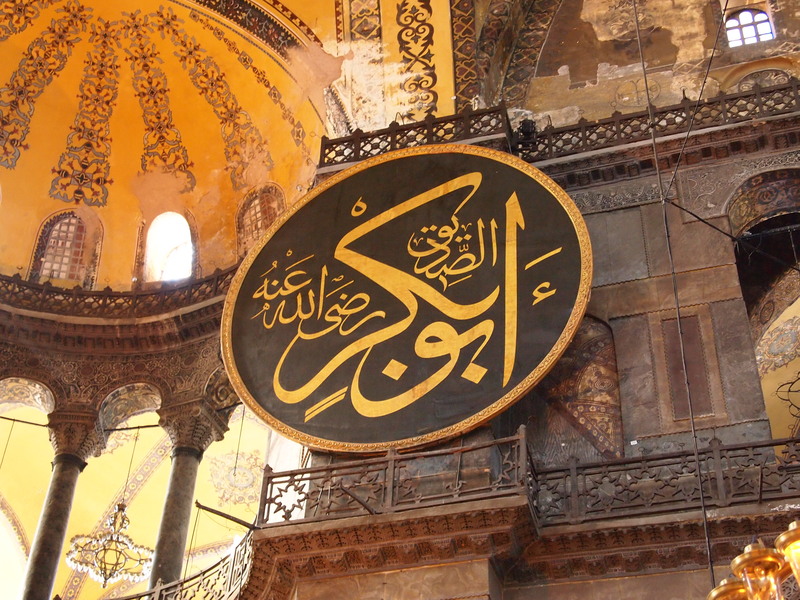 He was then employed and later executed by a sultan who admired and then feared his genius for invention. It’s 12 TL to go up to the top but it’s mostly in a lift with just a few stair and the view out across Istanbul is spectacular. 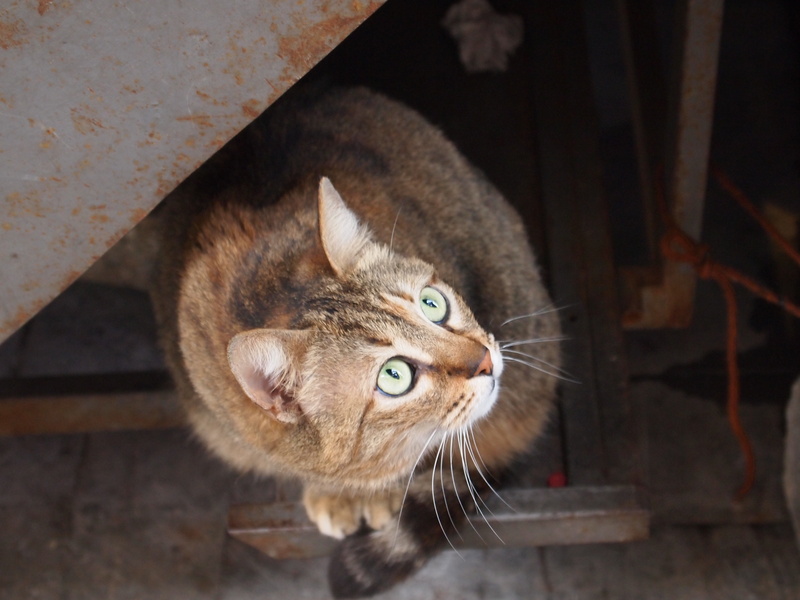 It gives a sense of the city as a whole that is difficult to find in the winding, narrow streets. 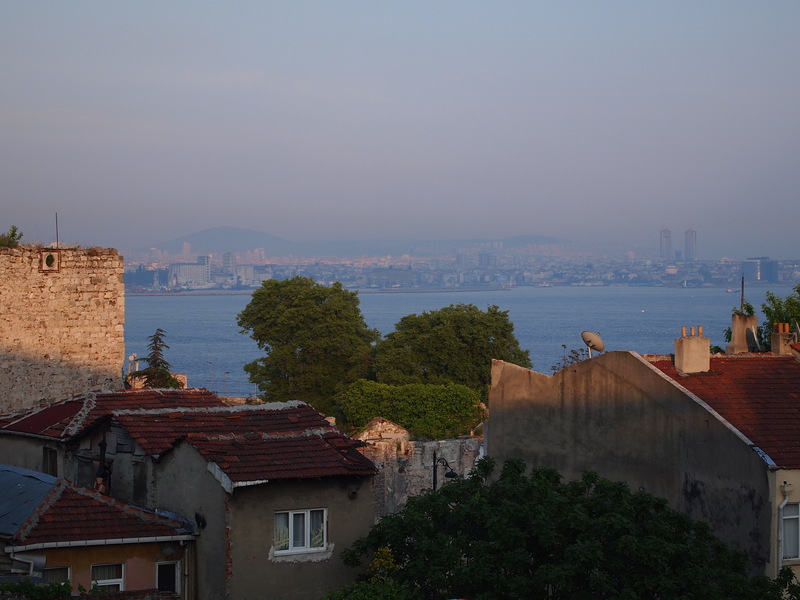 Divided by the Bosporus and the Golden Horn River, it can sometimes feel as those its two or three cities that just ended up too close together. Down the hill from the tower are a lot of little boutiques of handmade jewellery, leather goods and clothes. This is also a good place to try a Turkish coffee. 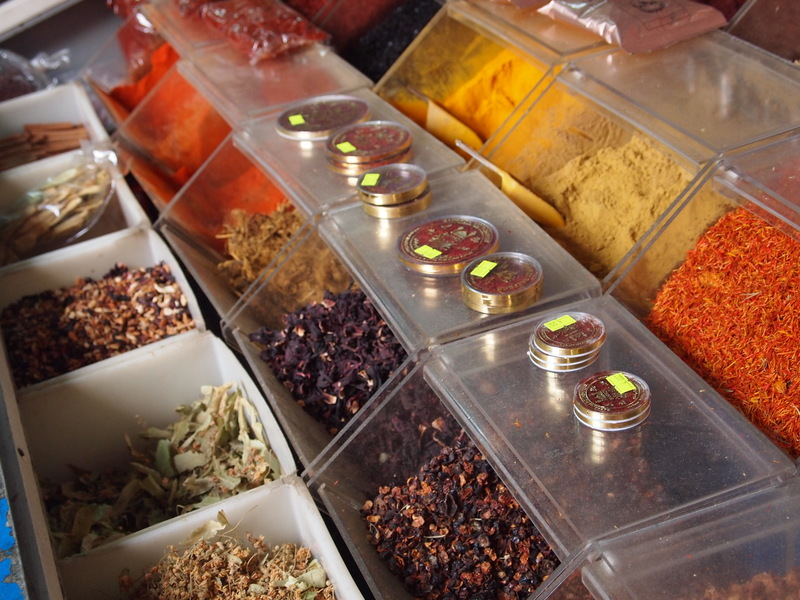 There are some great food markets too. It’s really much better than any of the famous bazaars. If instead at the end of the Istiklal you turn right and head toward Tunel (a street and a small venicular that takes you up the hill if you’re tired on the metro card) then you’ll find a pashaj of bars and on the corner the House Cafe. 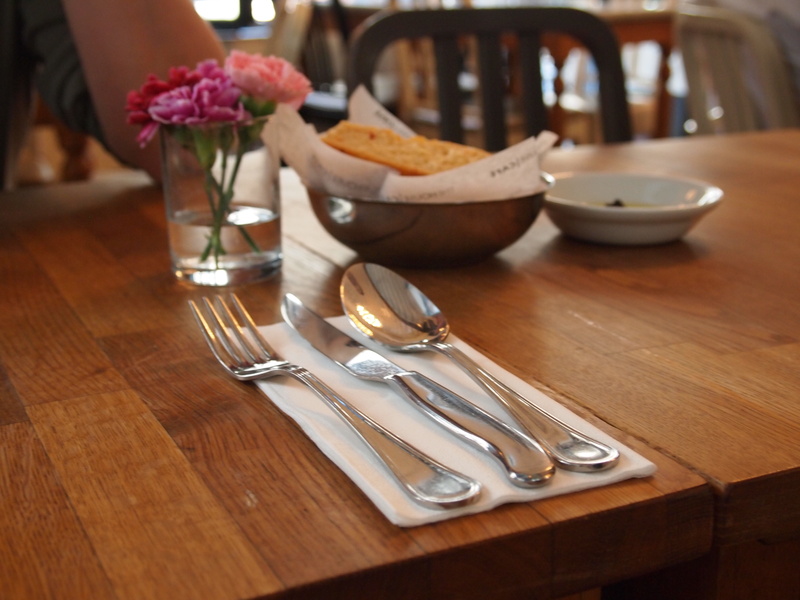 It’s a trendy place where you won’t get hugely traditional food but it’s got a broad menu (in English), the waiters don’t nag and it’s a comfortable place to sit and watch the world go by. The food is nicely prepared and artistically presented. seriously, I love your prose. Love it.